Share Your Tattoo Story at the Chicago Field Museum Tattoo Exhibit! Like so many artists in the tattoo field, I began my career with the assumption that I would always be working in the shadows, having dedicated myself to a fringe art form with only borderline social acceptability. 28 years ago when I started my apprenticeship there was only one convention, one magazine, a smattering of low budget books and documentaries, and not much more. So I have been continually amazed at the progression of our art form into a solid bastion of mainstream culture complete with a whole list of TV shows, conventions and other world-class events, not to mention a whole branch of publishing in many media dedicated solely to the tattoo art form. The latest accomplishment our industry had made is none other than a full-scale exhibition on tattooing that is traveling through a number of mainstream museums and bringing in record crowds- first in Paris, then in Toronto, and now at the Field Museum of Natural History in Chicago, which happens to be the very same museum that I went to as a kid to look at dinosaurs.The exhibit includes ancient tattoo artifacts, stunning photos and films of tattooing from cultures around the world, along with a bunch of original art by artists who you've probably heard of. The centerpieces of the show are a group of silicone body casts that have been tattooed by a number of hand-picked artists to showcase some of the more established genres within tattooing, everything from tribal to traditional American to geometric to fine line black and grey, plus a couple biomech pieces. I was invited to produce a backpiece for the exhibit, which was both an honor and a real task, with as much work invested into the piece as a real backpiece on a human. You can be a part of this exhibit too! The museum put together a website specifically for the exhibit at www.fieldmuseum.org/tattoo/. At this page you can get instructions on how to use your Instagram or Twitter account to post your own tattoo story, which is then displayed on a big screen on the wall of the exhibit room. Many of the stories are fascinating, and I believe that the participation of tattoo collectors brings a whole extra dimension to the exhibit. If you are in the Chicago area, this exhibit is a must-go destination... There simply has never been anything like it before. 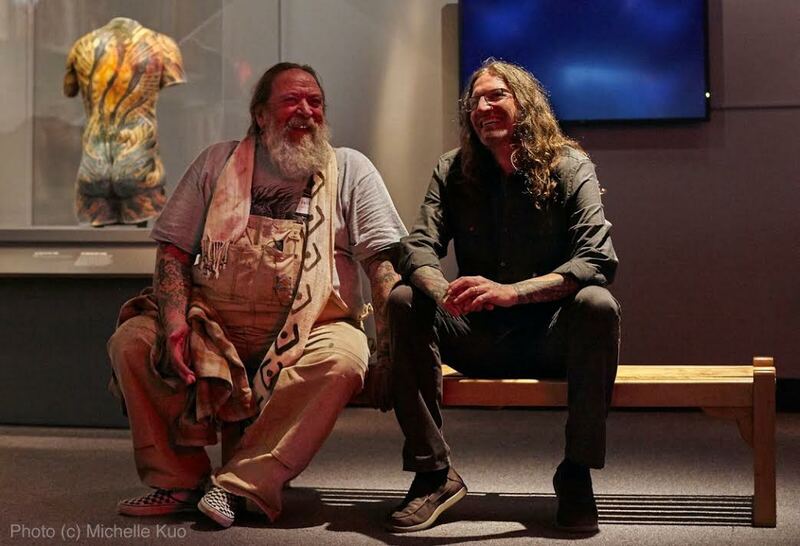 This is not a quick, pop-culture glimpse at tattooing, but instead is an incredibly well researched, heavy-duty legitimate museum exhibit about our art form. In the shadows no more! I also wanted to mention that at TattooEducation.com we are now offering a featured item every week that will get you free shipping on your entire order. This week we are featuring Mario Rosena's Shoot It Right, which is an extremely helpful (and reasonably priced) tutorial on photographing fresh tattoos, filmed by a veteran extreme sports photographer who also happens to be an excellent tattooer. 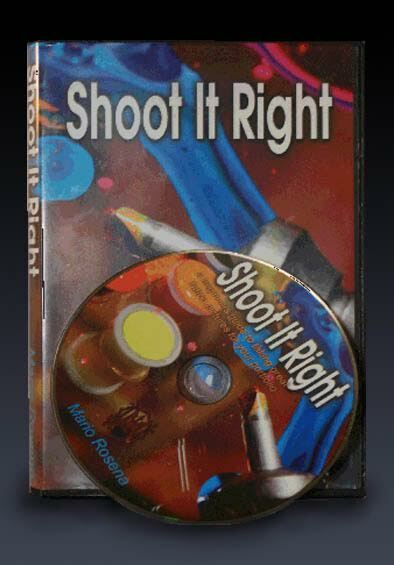 If you buy Shoot It Right alongside other items that have high shipping fees, you could save a lot on shipping costs. Stay tuned to see what featured items we have up next.